The Stagefright Survival School was developed by a psychiatrist and a lawyer nearly 20 years ago. We gathered methods, techniques and concepts that were useful in other areas of anxiety management and adapted them specifically for overcoming extreme fear of public speaking. We learned that while there were other programs that helped with public speaking, like Dale Carnegie™, these programs seemed to assume that the Fear Factor was merely “Step One,” something that could be overcome quickly. Then their attention would move right along to polishing and perfecting speech delivery. However, the people we were meeting were so hugely intimidated by public speaking that they could not even dream of showing up for the very first meeting of these other programs! We decided we had to slow things down. We decided to concentrate and specialize on helping people exclusively with “Step One.” Our approach worked! Since then, we have refined and improved our methods, and have successfully helped hundreds of Washingtonians, and out-of-towners, overcome their extreme fear of public speaking once and for all. We still leave it to others to teach perfecting the art of delivery. For example, we have always recommended that our graduates attend Toastmasters™ for follow up practice. Burton Jay Rubin is the Director of the Stagefright Survival School. He has helped hundreds of people overcome their disabling fear of public speaking. Burton is a practicing attorney, and has served as General Counsel for the American Society of Travel Agents (ASTA). He has testified on its behalf before the United States Congress and many other legislative bodies. Since 1985, Burton has been a Member of the Fairfax County Water Authority, which governs water use for over a million people in Northern Virginia. 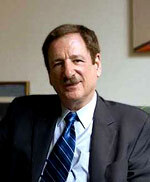 Burton attended the University of North Carolina Law School at Chapel Hill and earned his JD in 1969. After graduation, he served as Editor for a number of legal publications at the Bureau of National Affairs, Inc. In 1984, his fellow employee-stockholders elected him to the Board of Directors of BNA. Later, as General Counsel of ASTA, he won landmark cases on its behalf in various courts around the country. While Burton keeps busy at his “day jobs,” he is passionate about helping people with fear of public speaking. It is a problem he knows well because for years he struggled with fear of public speaking himself until he overcame it by using many of the successful techniques that are now incorporated into the Stagefright Survival School. With over 20 years of experience helping people with extreme fear of public speaking, he has refined and improved his approaches and added additional methods and techniques. His warmth, grace and wit make it easy for him to pass along to others the lessons he has learned for himself. Burton is also the Director of the Fear of Flying Program for the Roundhouse Square Counseling Center, which employs similar methods and techniques to help people master their anxiety-based problems. 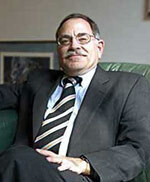 David L. Charney, M.D. is a psychiatrist and Founder and Medical Director of the Roundhouse Square Counseling Center. In 1968, he earned his medical degree at the Upstate Medical Center, State University of New York, in Syracuse. After his psychiatric training, he served in the United States Air Force for two years before starting his private practice of Adult Psychiatry in Old Town, Alexandria, Virginia. In 1979, he expanded his practice, adding specialization in Anxiety Disorders. Subsequently, he added other specializations, including Mood Disorders, Couples and Family Therapy, the treatment of Eating Disorders, Adult Children of Alcoholics, and Adult Attention Deficit Disorder. For many years, Dr. Charney has been the host of his own cable television show, Psychiatry Today, on Comcast Cable in Alexandria. Since 1975, Dr. Charney has taught psychiatric residents at the Department of Psychiatry and Behavioral Sciences at George Washington University, where he holds the academic rank of Associate Clinical Professor. As a separate specialty, Dr. Charney has consulted to the United States Intelligence Community, and has become an expert on The Mind of the Spy. He has worked with a number of high-profile spies, and based on his unique knowledge, has lectured about his findings to intelligence professionals in many settings. He is working on a White Paper on how to better protect the country from spying. 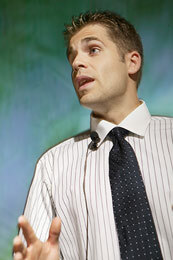 Dr. Charney has enjoyed helping hundreds of people get over their fear of public speaking by prescribing medication support to enhance the Cognitive-Behavioral techniques that are the mainstay of the Stagefright Survival School.